Broadway: Little Shop of Horrors (designer/performer); The Frogs (designer). Off Broadway: Little Shop of Horrors (Drama Desk, L.A. Drama Critics, Villager Awards); Go, Diego Go! National Tour (puppet designer); Night on Bald Mountain, Carnival of the Animals and Firebird for the Young People’s Concerts at Carnegie Hall (designer/performer). Film: Muppets Take Manhattan, Follow That Bird, Elmo in Grouchland, Teenage Mutant Ninja Turtles, The Producers. 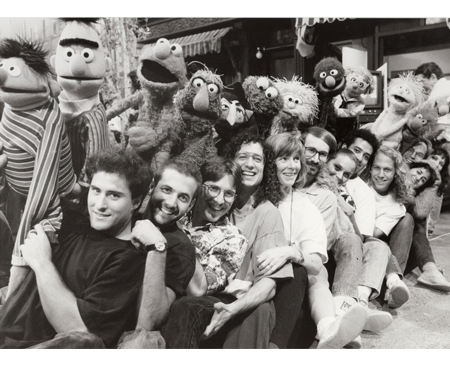 Sesame Street International Senior Muppet Coordinator/Teacher – Fifteen countries worldwide (Peacebuilder Award); Eugene O’Neill Theatre Center National Puppetry Conference – staff; The Jim Henson Foundation – Board Member.